Our World School Book Club, for kids ages 6 to 8, continues for another season of books and conversation. This year we will be reading children's classics and even some comic books! Join us for reading, crafts and snacks. This month's selection is the continuation and completion of The Lion, the Witch, and the Wardrobe. Our World School Bookclub meets every second Friday of the month at 1pm at Bookworks. This month's reading selection is James and the Giant Peach. The witches By Roald Dahl This is not a fairy tale. This is about real Witches. Grandmamma loves to tell about Witches. Real Witches are the most dangerous of all living creatures on earth. There's nothing they hate so much as children, and they work all kinds of terrifying spells to get rid of them. ROALD DAHL DAY - STORY TIME AND CELEBRATION! Swashboggling storytime, gloriumptious activities, and wizzpopping Dahl-licious snacks. (Don't worry; we won't serve Rotsome Snozzcumbers.) Author birthdays we're also celebrating include Jack Prelutsky, Robert McClosky, and Alexandra Day. Costumes encouraged! Thursday, August 29 at 10:30 am: Story Time! It would be the pits if you missed this story time. August is National Peach Month and everything today is peachy keen. Join us for a peachy snack and peruse a few pages from James and the Giant Peach. More info: kids@bkwrks.com. Led by Greenlight bookseller and former teacher Brette, this book group is geared toward kids ages 8 to 14, and reads great contemporary and classic chapter books. Parents are welcome (but not required) to attend; pizza is served. For September the book group reads Roald Dahl’s memoir Boy. Where did Roald Dahl get all of his wonderful ideas for stories? From his own life, of course! As full of excitement and the unexpected as his world-famous, bestselling books, Roald Dahl’s tales of his own childhood are completely fascinating and fiendishly funny. We celebrate the birthday of one of our favorite authors of all time: Roald Dahl. He created some of the most enduring characters of all time: Willy Wonka, James (and his giant peach), Matilda, and assortment of Witches and so many more. We'll have fun readings, prizes, and snacks from Sugarbaby's Cupcake Boutique. Fans of all ages are welcome. You don't even need a Golden Ticket! We hope you'll join us! 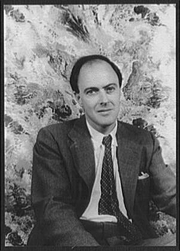 Roald Dahl is currently considered a "single author." If one or more works are by a distinct, homonymous authors, go ahead and split the author. Roald Dahl is composed of 10 names. You can examine and separate out names.